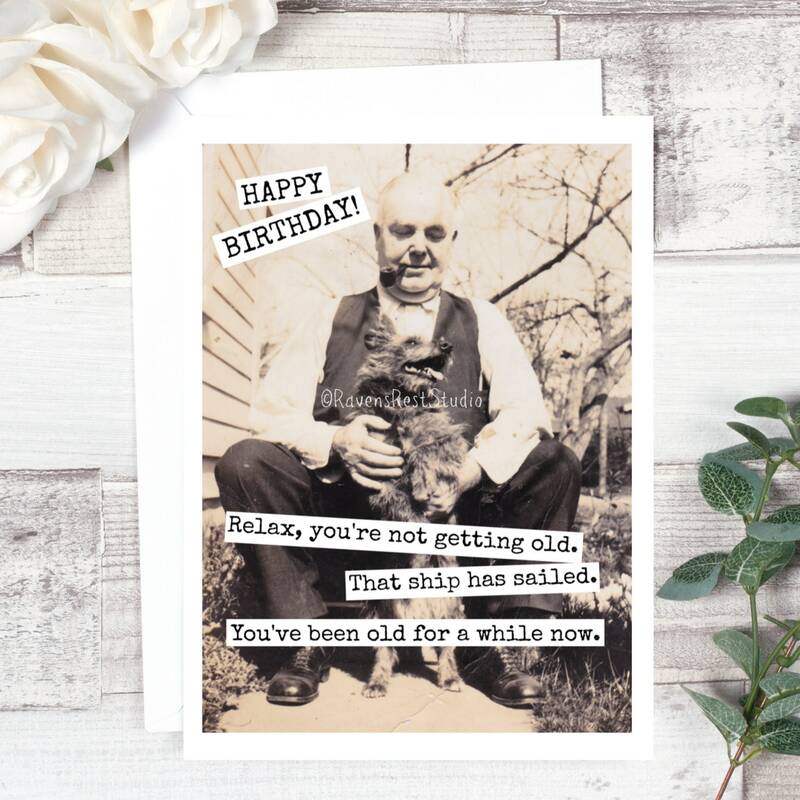 This card features a vintage man with his dog and reads: "HAPPY BIRTHDAY! 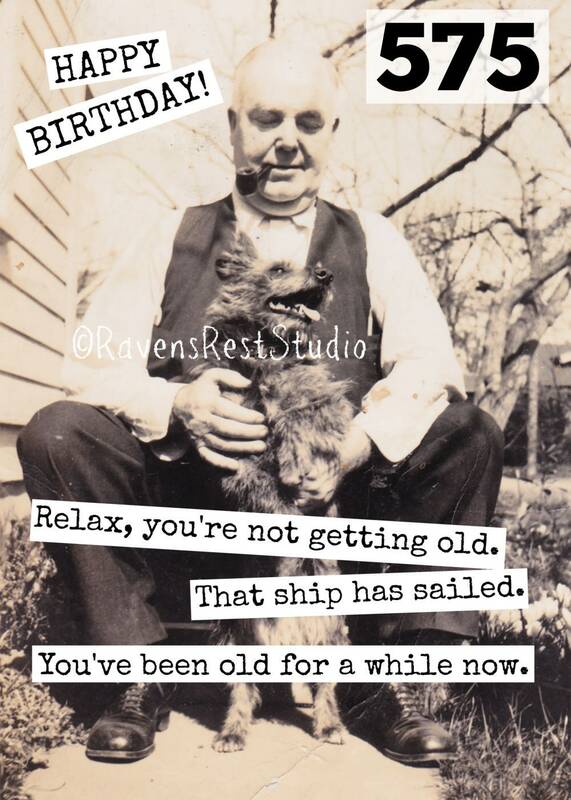 Relax, you're not getting old. That ship has sailed. You've been old for a while now."